Sick of experts telling you what to do? It’s time we heard from people who are unequivocally not experts. Chris Ryan and Tom Gibson are opinionated, passionate and so lacking in credibility that you know they’ll be wrong about everything. But finally, here are adults who are talking nonsense but actually know it! Big on opinions, low on expertise, massive on funny – they are completely UNQUALIFIED. Chris and Tom are established comedians from Canberra with more than 15 years’ experience doing comedy, including to sellout festival shows, interstate clubs and corporate gigs. 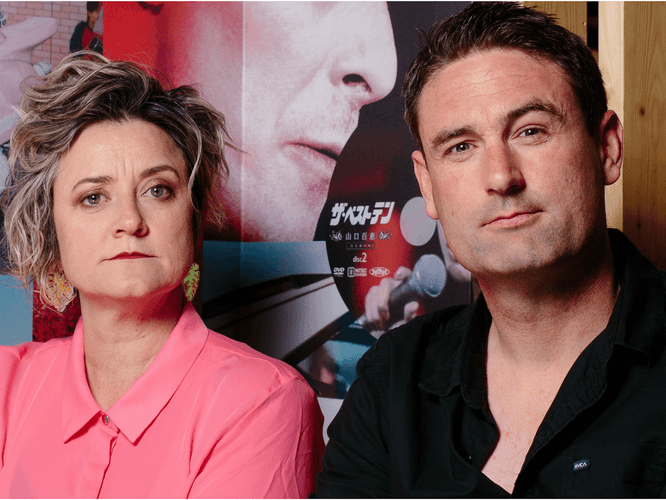 This show will be the best jokes from both their repertoires – well written, tightly honed observational stand-up comedy from two Australian comedians that you won’t believe aren’t on TV yet. This is the first show they have written and produced together and it’s top shelf Australian stand-up comedy. Tom Gibson has become a comedy favourite for his relentless wit, finely-tuned writing and outrageously funny crowd work. Over the past few years, he’s sold out his solo festival shows A Whole Lot Faster and Are You For Real?, performed everywhere from Perth to Brisbane, and toured with The Laughing Duck and Talk is Cheap showcase shows. Host of breakfast radio show The Bright Side, writer and renowned hoax speaker, Tom’s stand-up is a unique blend of story-telling, observation and physicality. Fast, clever and extremely funny, don’t miss Tom unravel the mysteries of the everyday as only he can. Chris Ryan's laconic take on everything from romance to passive aggressive co-workers has got her spots on 2018 Sydney Comedy Festival Showcase Tours to Queensland and regional NSW, Canberra Comedy Festival Galas the Sydney Comedy Store and Enmore Comedy Club, Floriade Nightfest, TEDxCanberra and the Fearless Comedy Gala. In 2018, Chris performed her first solo festival show Grey Matter at the Canberra Comedy Festival (March) and Sydney Fringe Comedy (September), about the trials a woman faces when she decides to go openly grey but still feels like a teenager. – Justin Hamilton, Head Writer Show Me the Movie. – Sydney Comedy Festival Showcase Tour website, 2018.